Mr. Leo J. Portman, an Oklahoma City attorney, brings over thirty years of experience to GableGotwals in the areas of title examination and oil and gas law. 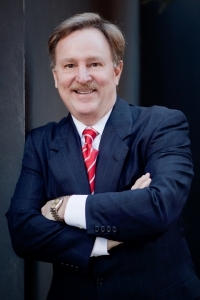 He and also practices in the areas of corporate liquidation, estate planning, and corporate and securities law. Prior to joining GableGotwals, Leo was a Sole Practitioner at Portman & Associates. He has previously served as President of an oil and gas company during bankruptcy liquidation and payment of creditors, all of whom were paid in full under his direction. He also fulfilled the role of sole practitioner for oil and gas corporations and outlined estate planning programs for clients. Leo has been active in various civic organizations in Oklahoma, serving currently as a member of the Board of Directors for First National Bank of Oklahoma and the Last Frontier Council Executive Board of Directors, and previously as a member of the Board of Directors for the Oklahoma City Golf and Country Club, Baden Powell Boy Scout District of Last Frontier Council, Volunteer Center–a United Way Agency, and as a Board of Trustees Member for World Neighbors. He also served as a member of the Board of Directors for Charter National Bank and the Board of Directors for the YMCA at both the Northside and Metropolitan locations, holding leadership roles of President, Vice President and Treasurer during his tenure. Leo is a member of Leadership Oklahoma City Class XV.